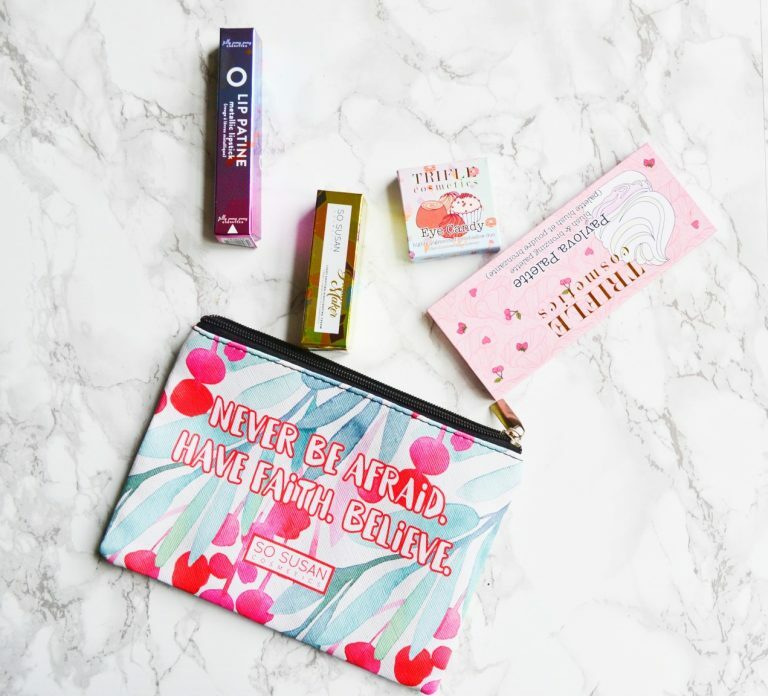 October’s limited edition makeup bag has a colorful tropical design. There are leaves and what appear to be either red fruit or flowers. I’m digging it! 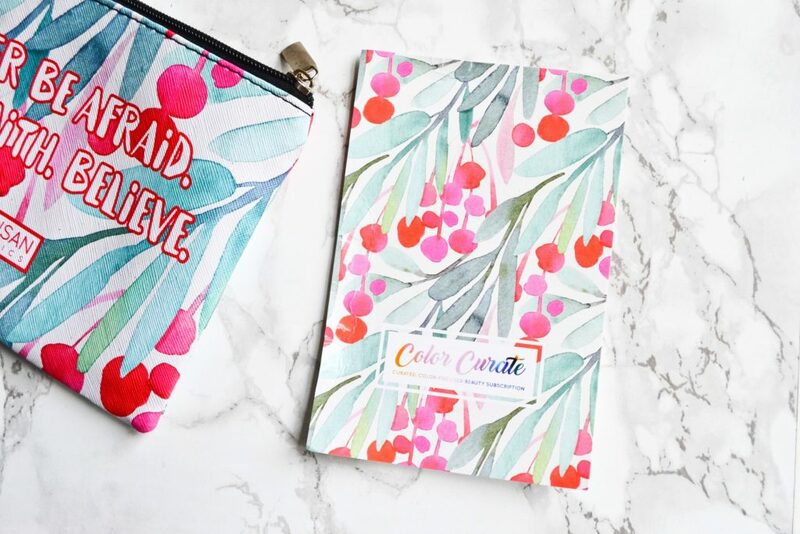 Color Curate’s bags are very durable, and are perfect for traveling. I also received a card in my bag, with information about each product. 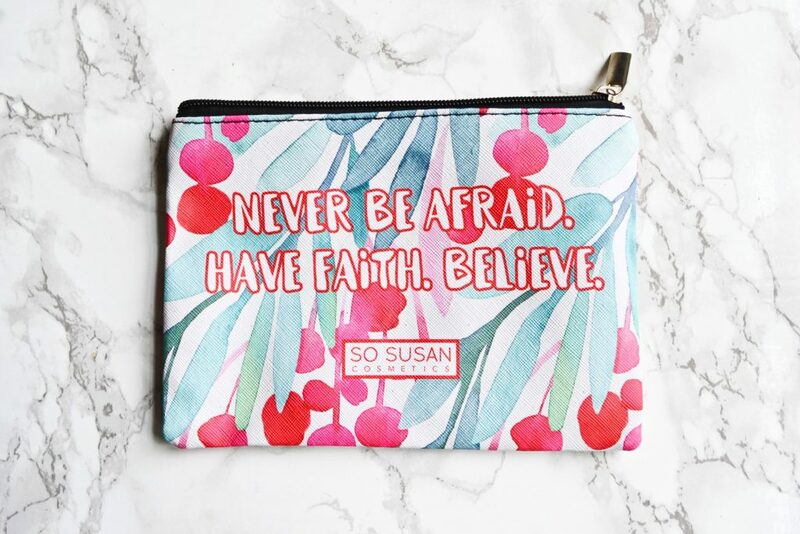 It is covered with the same cute design as the bag! Every month, I am blown away by how gorgeous these products are! 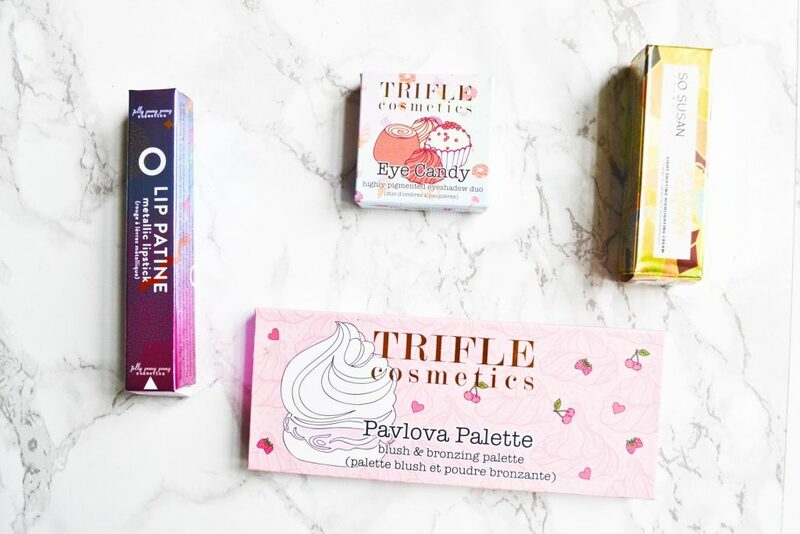 Trifle Cosmetics in particular has the cutest packaging. 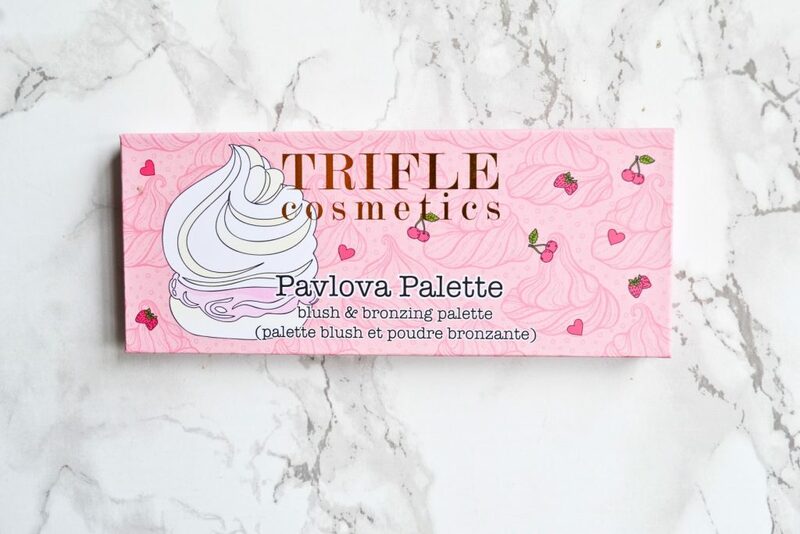 I love how their products are dessert themed. All right, let’s take a look at each individual product. 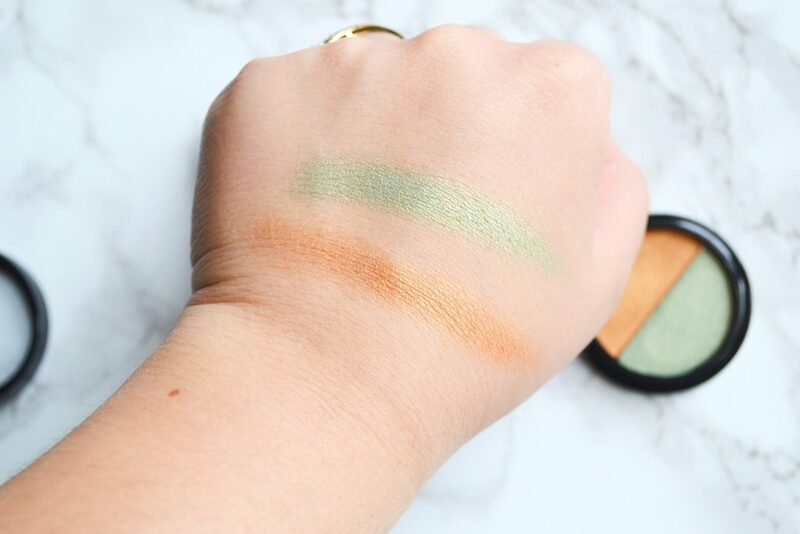 I received Eye Candy in “Sorbet” back in August, and was extremely impressed with the shadows’ performance. I’m happy to report that the “Fudge” Eye Candy is just as wonderful! 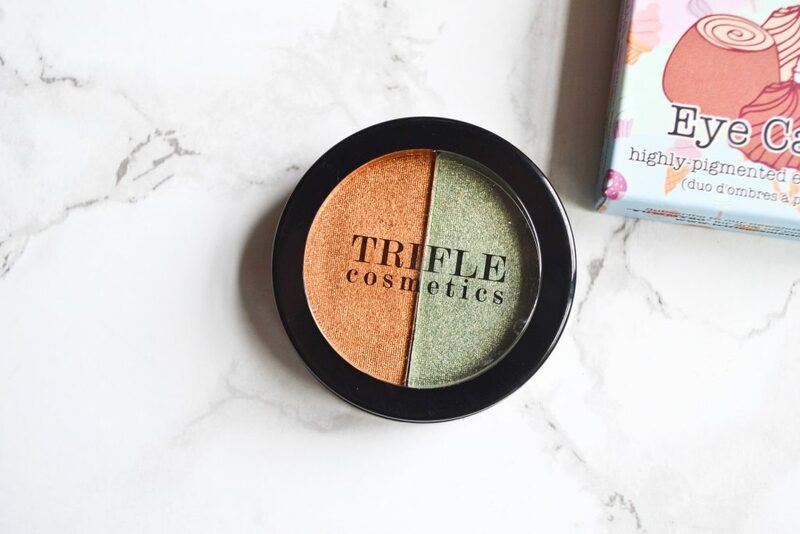 It is a highly-pigmented, shadow duo with a silky, creamy formula. The shadow is powder based, but it seriously feels like a cream shadow! “Fudge” contains a lustrous sage green and bronze shadow duo. 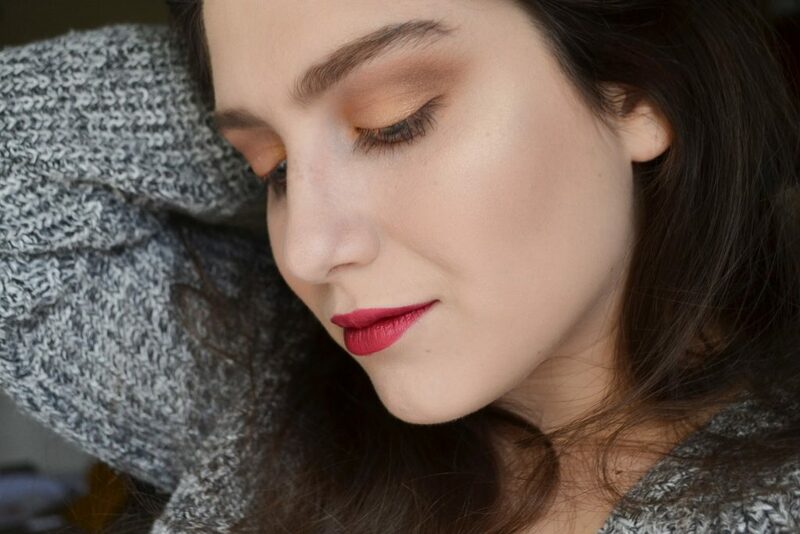 These two shades are very complimentary, and are perfect for Fall. Based on the packaging, I was expecting this to be a metallic liquid lipstick. Instead, it is a chubby crayon, with a twist-up bottom. 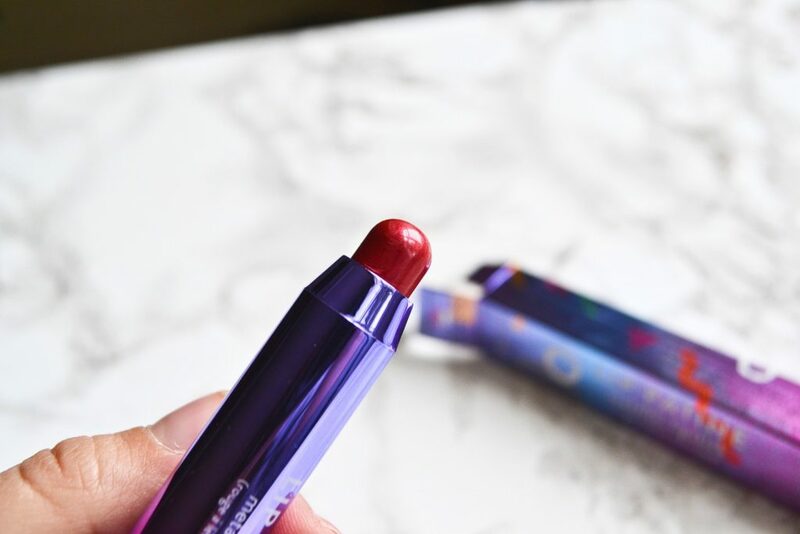 I normally don’t like crayon lipsticks because they tend to be waxy and drag on your lips during application. 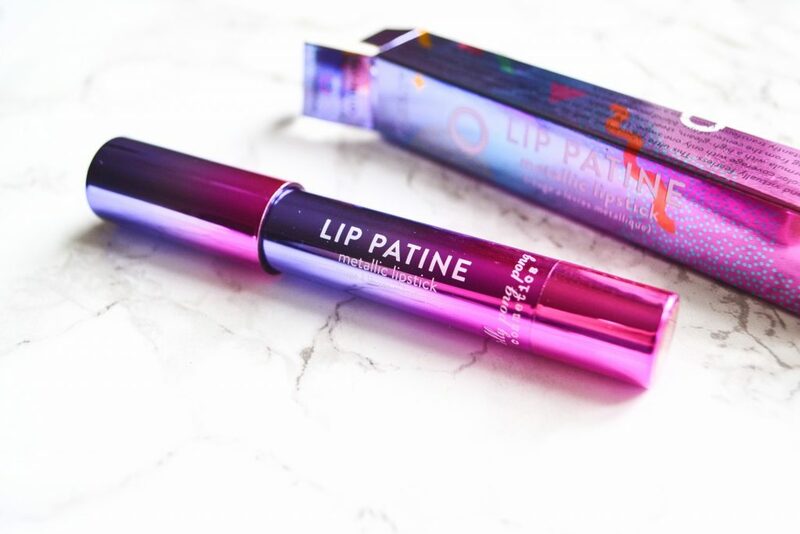 However, this Lip Patine is very creamy and glides on easily! “Trinity” is a gorgeous metallic candied apple shade. This is a classic shade that is flattering on many skin tones. I am always excited for my monthly Color Curate palette! 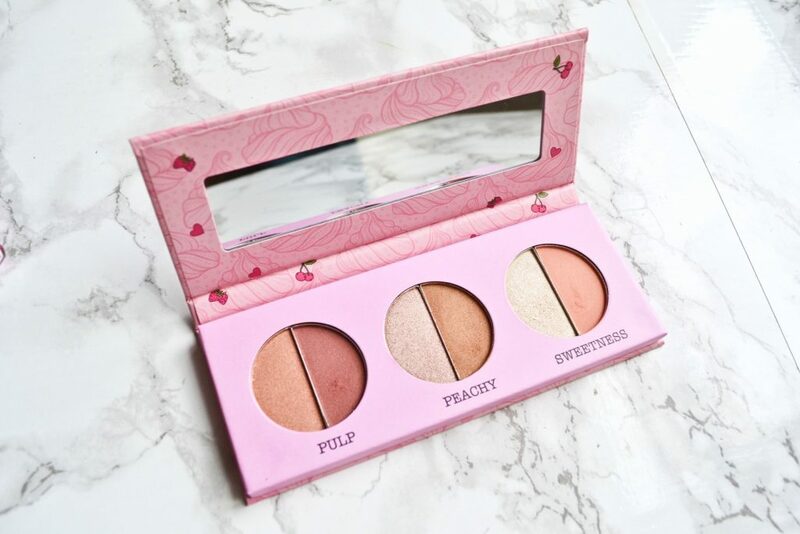 October’s palette was a gorgeous contouring palette that contains blush, bronzer, and highlighter. 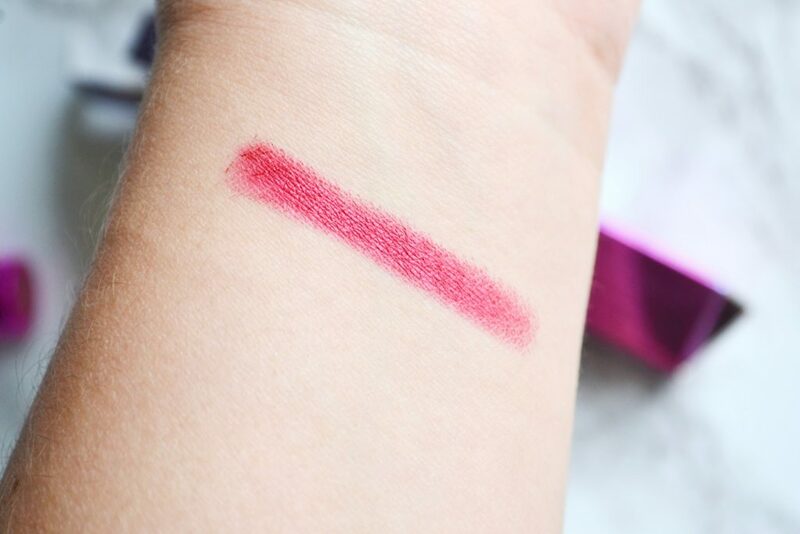 These shades provide streak-free, buildable color and blend like a dream. My only issue with this product is that it isn’t really suitable for deep skin tones. Pulp looks quite dark in the pan, but applies considerably lighter and would probably work best with medium skin. I just wish there was one more duo formulated for deeper skin. 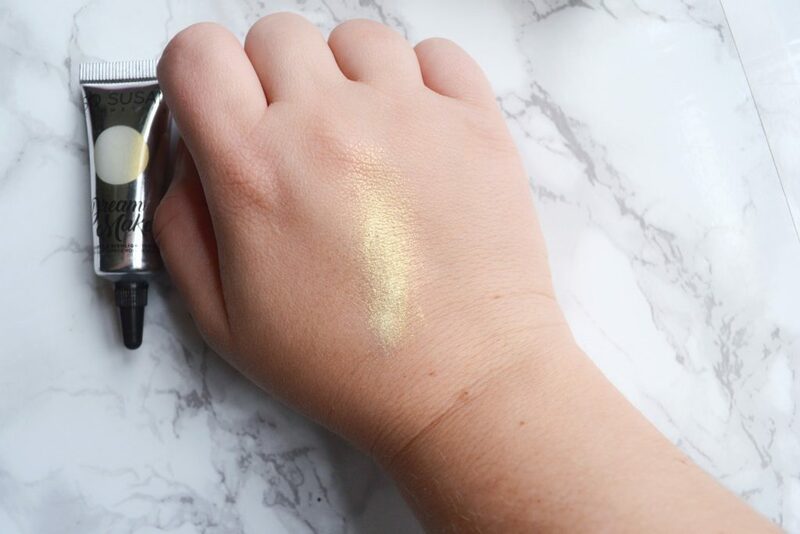 I love, love, LOVE liquid highlighters, so I’m excited to add this to my collection! 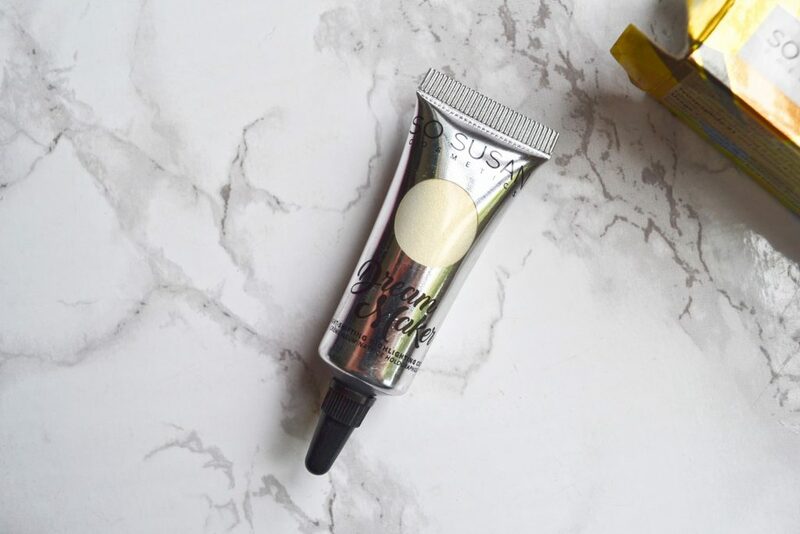 This creamy, ultra-luminous highlighter is designed with bioactive Tetrapeptide-21 and antioxidant rich Edelweiss Extract to help fight the appearance of skin fatigue. Trance gives your skin a brilliant, 24 karat gold glow. A little bit goes quite a long way! 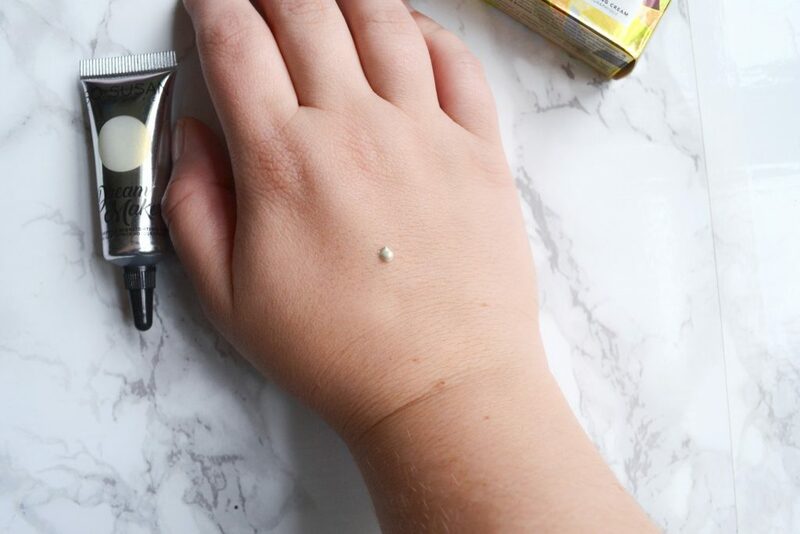 A tiny drop will make your skin look totally radiant. 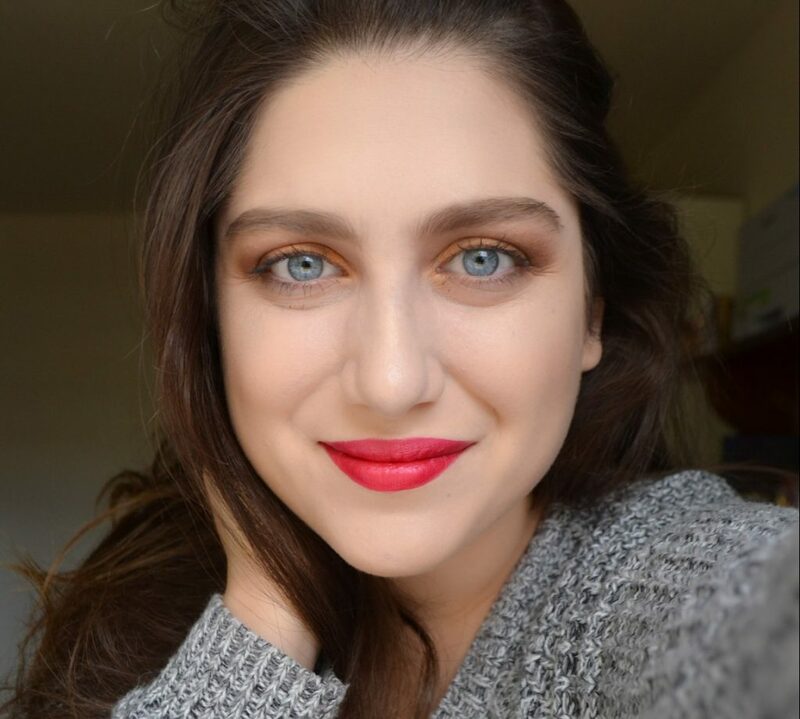 I used all of the products from October’s Color Curate while doing my makeup! I used the bronze portion of the Eye Candy on my eyes, and the bronzer portion of the “Peachy” duo in the Pavlova Palette on my cheekbones. I also put the “Sweetheart” highlighter portion on my cheekbones, and layered the Dream Maker liquid highlighter over it. Lastly, I applied the Lip Patine to my lips. I think the colors in this month’s bag work together beautifully, and I am especially impressed by the quality of the bronzer from the Pavlova Palette. This month’s box had a value of $109! Every item was colorful, and fitting for Fall. Over the past few months, I have fallen totally in love with Color Curate! I even used a few of their makeup products while preparing for my engagement photoshoot. 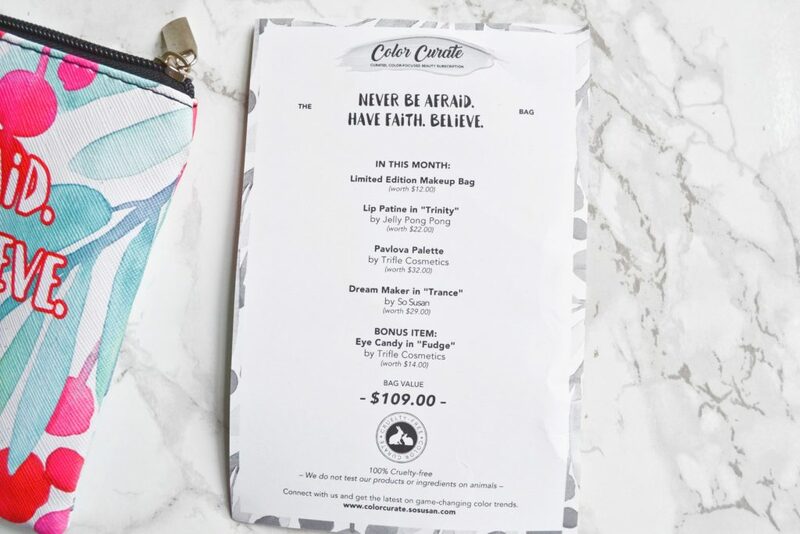 I think this subscription is a wonderful way to try out bold, vegan makeup while also saving some money.